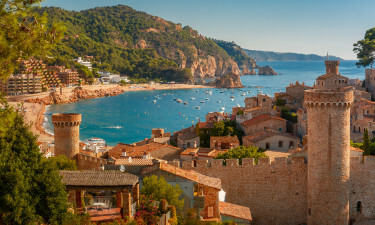 Welcome to Costa Brava - A sunny region in the heart of Catalonia! 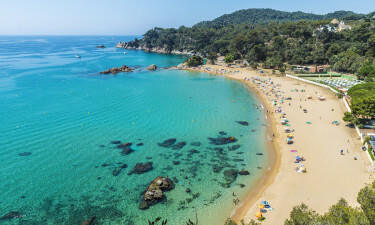 Costa Brava is located within the Catalonian portion of Spain. Known for its beautiful interior landscapes and a proximity to the Mediterranean Sea, there are countless luxury camping sites to experience. Please contact LUX-camp for more details in regards to the numerous attractions here! This region is located within the heart of Catalonia and is defined by containing pristine examples of nature alongside immaculate beaches. As it has been occupied since the Roman times, traces of its fascinating history abound here. Thanks to an amenable climate, there are a number of luxury camping opportunities to enjoy. These are made even more convenient thanks to the international airports found in Girona and Barcelona. 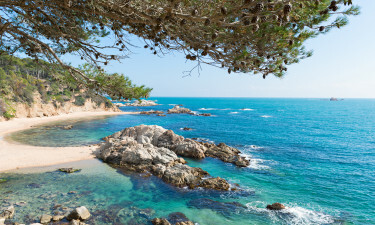 Why Should I Camp in Costa Brava? The amazing coastline of the Mediterranean Sea. A plethora of holiday camping sites that offer luxury tents, mobile homes and bungalow tents. An ability to travel to nearby cities such as Barcelona and Girona. Straddling Rocamaura Mountain and boasting access to the sea, the luxury camping site of Castell Montrgi is not to be missed. It is over 20,000 square metres in size and considered to be perfect for any camping holiday. Numerous on-site activities are complimented by maritime opportunities such as swimming, sailing and surfing. Bungalow tents and mobile homes are provided at Cala Gogo. No less than 20 hectares of open-air relaxation can be accompanied by activities such as table tennis, volleyball, miniature golf and tennis. Nearby attractions include boat rentals, thermal baths, diving and a full golf course. 810 pitches are available while the beach itself is found only 3 kilometres away from this holiday camping site. Offering an incredible 1,928 pitches, camping luxury is redefined at El Delfin Verde. As this site is 35 hectares in size, guests are able to enjoy leisure activities such as sailing, bicycle hire, swimming in an open-air pool and table tennis. It is also worth mentioning that a beach is found within the confines of this luxury camping resort. 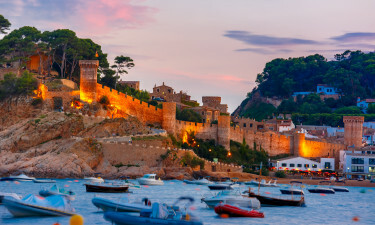 This region is defined by untouched stretches of beach that are punctuated by the foothills of the Pyrenees mountains. A short trek into the centre of Costa Brava offers some breathtaking natural surroundings while the coastline is rugged and picturesque. The main city found within Costa Brava is Girona. An international airport is found here and there are numerous other forms of mass transit. Other metropolitan regions include Cadaquez, Tossa del Mar, Lloret del Mar, Begur and Roses. Notwithstanding the beaches, Costa Brava offers other attractions during one's camping holiday. Historical sites include the towns of Ullastret, Pals and Peratallada. 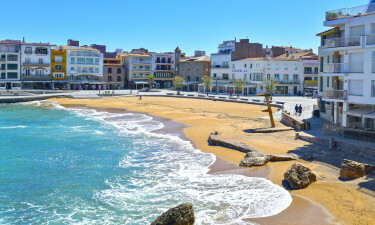 Nuria Valley is a great getaway for the entire family while the numerous street markets found in areas such as Girona and Tossa del Mar are not to be missed. The Catalan are a very open people and their society is quite relaxed. They welcome tourists throughout the year. The diet here is classically Mediterranean with an emphasis placed upon fish and fresh vegetables, and Catalan wine is popular. A type of champagne known as "cava" should be experienced. Most will choose a camping holiday here during the summer months. The weather is quite clear and there are very few rainy days. Winters are known to be cold and rainy although there is normally no snow to be found on the coast (heavier snows tend to fall within the more mountainous regions).